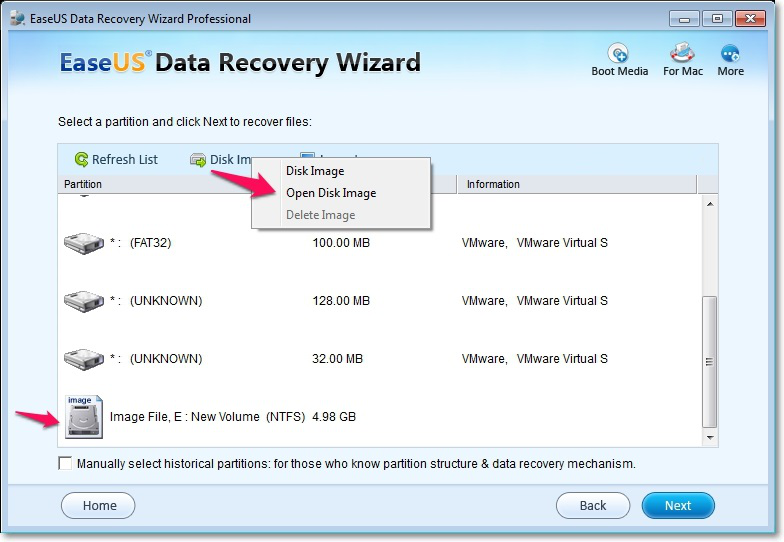 The Disk Image option in version 7.5 can help you transfer readable content on one drive to another virtual drive, then you can try to scan lost data from the virtual drive instead to avoid program freeze. And only image part of a huge drive is also allowed, with this option, scanning half even quarter of a huge drive (usually larger than 2TB) each time is possible. As going through an entire large drive occasionally results in frozen or out of memory issues. But for a bad drive which is physically damaged and you cannot scan with 8.0 or a later version, this option may fail to image the drive either. 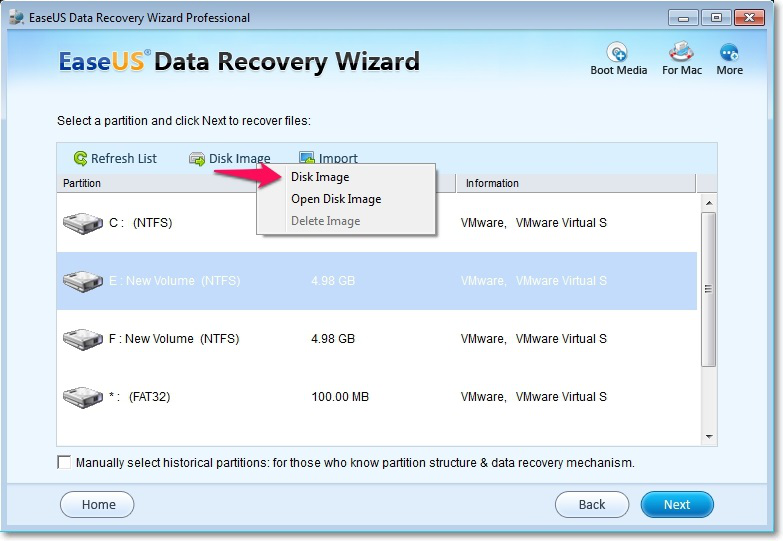 Come to the partition/disk list page first, select the partition/disk you want to recover data from, click Disk Image > Disk Image to start creating the image file. Please note that only ticking the option Advanced Wizard Mode allows you to divide a complete large drive into several states of peace. 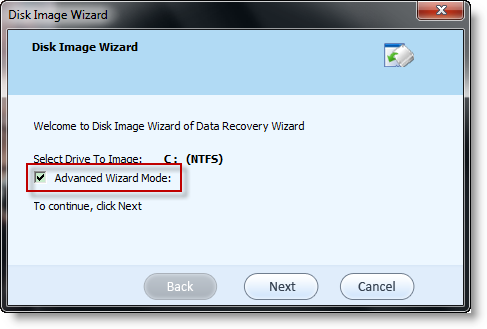 You can find the option in the first step of Disk Image Wizard. Step 3 includes a disk map, the user can specify the size of each image files here. Entering start/end sector numbers or dragging the disk map can both help you create an image file with only part of a hard drive included. 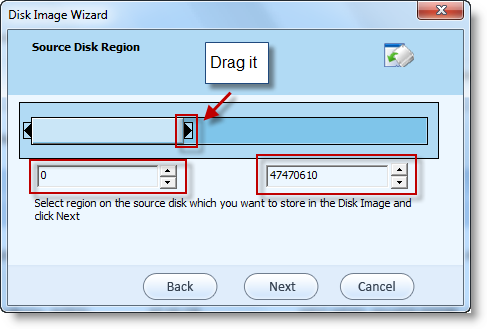 Use Open Disk Image option under the same page, the same menu to load the image file just created, then start a scan from the new added virtual drive.